‘Small government helps find solutions|! !| and we really need to get back to that approach|! !|’ says Taylor Caswell|! !| commissioner of the recently created Department of Business and Economic Affairs. Earlier this year, Gov. Chris Sununu reshaped the state’s economic development efforts by splitting off the Divisions of Economic Development and Travel and Tourism Development from the old Department of Resources and Economic Development into a new Department of Business and Economic Affairs. Sununu tapped Littleton native Taylor Caswell to be commissioner of the new agency. 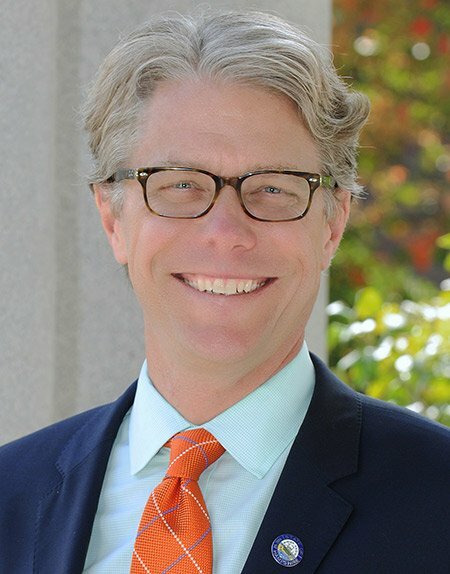 Caswell most recently served as executive director of the NH Community Development Finance Authority, the statewide public agency that provides technical and financial resources to community and economic development programs. Previously a regional administrator at the U.S. Department of Housing and Urban Development during the administration of President George W. Bush, Caswell also has worked as a congressional staffer and co-founded the NH Clean Tech Council. 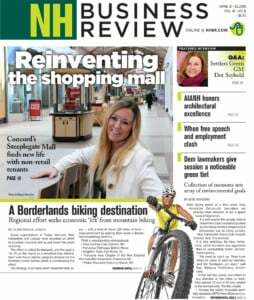 Caswell — who founded PRKR MTN Trails, a nonprofit community-based network of 25 miles of multi-use trails in Littleton — spends free time mountain biking, climbing, hiking and skiing in the rugged White Mountain terrain. He recently talked to NH Business Review about the economic challenges facing a state with record low unemployment and an aging workforce. Q. Why was the reorganization of the state’s economic development agencies important? A. The goal was to establish a new department of state government that would bring singular focus to a broad array of economic development challenges facing the state. Leading the list right now is workforce development. We have a very hot economy right now in southern New Hampshire, being led by healthcare and various technology industries, and our unemployment rate is under 3 percent. We have an aging workforce and employers who are desperate to get trained employees to expand or relocate here. The state really needs to play a role in trying to advance solutions to this and other big issues and now it can. Q. What did you take from your experience at the Community Development Finance Authority that will help in this role? A. CDFA is one of a handful of agencies and organizations in the state that are doing incredible work in the community and economic development space. Together, with other agencies like the Business Finance Authority and the Housing Finance Authority, we need to be front and center in the state’s long-term strategies to build a sustainable and prosperous economy. But the big takeaway was to experience how New Hampshire’s greatest strength is in our communities and the people working to make them better every day. To recruit employers and a younger workforce, we must have cities and towns that are places where people want to live and work. Towns that are taking that approach are thriving and absolutely contributing to our current and future success as a state. Now here at BEA, I am going to work to continue to advance and enable those economies for the people who live in them and the businesses ready to succeed here. Q. What can be done to keep young, skilled workers in the state? A. I’d reframe that question a little bit because I don’t think it's solely how we are going to keep all these kids in New Hampshire. Sure, some will stay, but a lot of us went away for a while and got educated, had life experiences, worked in different jobs, maybe started a family, and then came home. I want those people back here. Like everything else, it’s not one thing. It’s creating pathways for kids in high school to see a way forward from education to career here in New Hampshire. It’s our new talent attraction strategy that couples data and the marketing expertise of our Division of Travel and Tourism Development with our sector partnership initiatives. It’s creating regional ecosystems of similar employers working collaboratively with us to fine tune those strategies into something that works. It’s really paying attention and doing something to help our businesses that makes a difference. We’re going to do a lot of that. Q. How has the so-called New Hampshire Advantage evolved? A. Historically, it’s been low taxes and small government. We still have those, but we need to bring them back to the forefront of our marketing strategies. If you go to Quebec and say we have no sales or income tax, they literally don’t believe you. We still have a small state government, but I would have to say it could definitely try to embody more of what that is supposed to mean: more collaboration, less regulation. Small government helps find solutions, and we really need to get back to that approach. Making government a partner should be our goal, and I intend to have BEA help bring all that into better focus. Q. What is an emerging success story that’s under the public radar? A. ARMI, the Advanced Regenerative Medical Institute in Manchester. I don’t think people are truly appreciating the enormous potential of what Dean Kamen is bringing to our state. This is not just a company or a single idea. This is an entirely new industry that has the potential to transform not just the Manchester mills, but our state’s economy. Communities across the country would literally beg for the type of rebirth this opportunity presents for the old Manchester mills. It’s here, it’s happening. It will be up to us as a state to embrace it, otherwise it’s not going to work. This is literally an all-hands-on-deck kind of situation. Q. What are your top priorities as commissioner? A. Do whatever I can to help build a state economy that gives all our residents and employers the best shot to meet their goals. Clear the path, let them take it from there. Theodore Roosevelt said, “We all do well when we all do well.” Let’s get back to that.